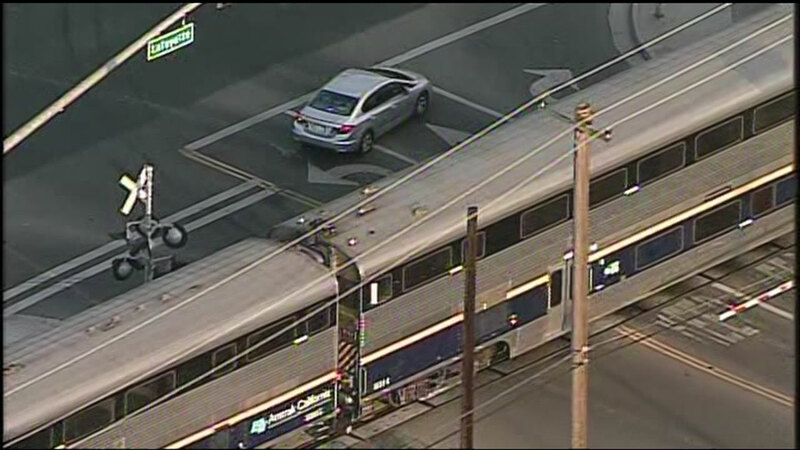 SANTA CLARA, Calif. -- A train struck a vehicle on the tracks in Santa Clara Tuesday afternoon, an Amtrak spokeswoman said. Train No. 542 was headed from San Jose to Sacramento when it struck a vehicle around 4:35 p.m., according to Amtrak spokeswoman Christina Leeds. The train was delayed roughly two hours, Leeds said, but no injuries were reported among the crew or passengers. Leeds referred questions about the vehicle and any occupants to the Santa Clara Police Department, which could not immediately be reached for comment.